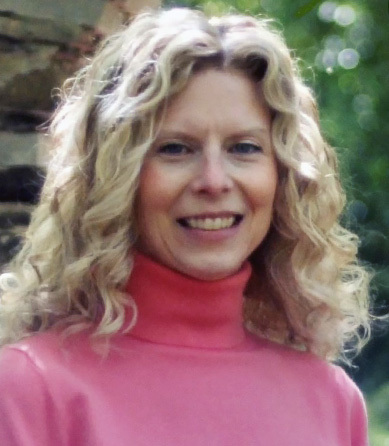 Jennifer Benson Schuldt has been writing professionally since 1997 when she graduated from Cedarville University and began her career as a technical writer. Currently, she is a writer and blogger for Our Daily Journey, as well as a contributor to Our Daily Bread. Jennifer lives in the Chicago suburbs with her husband, Bob, and their two children. When she isn’t writing or serving at home and church, she enjoys painting, reading poetry and fiction, and taking walks with her family. One of her favorite verses is Micah 6:8, “This is what He requires of you: to do what is right, to love mercy, and to walk humbly with your God” (NLT). In an even more powerful sense, the Holy Spirit is able to sway believers in the direction of God’s goodness and truth. If we go along with the Spirit, we can expect to become more courageous and more loving. We will also become more discerning about how to handle our desires (2 Tim. 1:7). In some situations, however, the Spirit nudges us toward spiritual growth and change, but we respond with a “no.” Continually stonewalling this conviction is what Scripture calls “quench[ing] the spirit” (1 Thess. 5:19). Over time, things we once considered wrong appear not to be quite as bad. When our relationship with God seems distant and disconnected, this may be because the Spirit’s conviction has been repeatedly brushed aside. The longer this goes on, the harder it is to see the root of the problem. Thankfully, we can pray and ask God to show us our sin. If we turn away from sin and recommit ourselves to Him, God will forgive us and revive the power and influence of His Spirit within us. John Babler is the chaplain for the police and fire departments in his Texas community. During a 22-week sabbatical from his job, he attended police academy training so that he could better understand the situations law enforcement officers face. Through spending time with the other cadets and learning about the intense challenges of the profession, Babler gained a new sense of humility and empathy. In the future, he hopes to be more effective as he counsels police officers who struggle with emotional stress, fatigue, and loss. We know that God understands the situations we face because He made us and sees everything that happens to us. We also know He understands because He has been to earth and experienced life as a human being. “He became flesh and dwelt among us” as the person of Jesus Christ (John 1:14). Jesus’s earthly life included a wide range of difficulty. He felt the searing heat of the sun, the pain of an empty stomach, and the uncertainty of homelessness. Emotionally, He endured the tension of disagreements, the burn of betrayal, and the ongoing threat of violence. What would you do if the Lord showed up in the middle of your workday with a message of encouragement? This happened to Gideon, one of the ancient Israelites. “The angel of the Lord suddenly appeared and said, ‘Mighty hero, the Lord is with you!’ ” Gideon could have responded with a wordless nod and gulp, but instead he said, “If the Lord is with us, why has all this happened to us?” (Judg. 6:12–13 nlt). Gideon wanted to know why it seemed as if God had abandoned His people. The book of Proverbs teaches, “It is to one’s honor to avoid strife” (20:3). Strife is that interpersonal friction that either simmers under the surface or explodes in the open between people who disagree about something. God has given us the resources to live peacefully with other people. His Word assures us that it’s possible to feel anger without letting it boil over into rage (Eph. 4:26). His Spirit enables us to override the sparks of fury that prompt us to do and say things to strike out at people who upset us. And, God has given us His example to follow when we feel provoked (1 Peter 2:23). He is compassionate, gracious, and slow to anger, abounding in love and faithfulness” (Ps. 86:15). The sight of a cross causes me to consider what Jesus endured for us. Before being crucified, He was flogged and spit on. The soldiers hit Him in the head with sticks and got down on their knees in mock worship. They tried to make Him carry His own cross to the place where He would die, but He was too weak from the brutal flogging. At Golgotha, they hammered nails through His flesh to keep Him on the cross when they turned it upright. Those wounds bore the weight of His body as He hung there. Six hours later, Jesus took His final breath (v. 37). A centurion who witnessed Jesus’ death declared, “Surely this man was the Son of God!” (v. 39). The next time you see the symbol of the cross, consider what it means to you. God’s Son suffered and died there and then rose again to make eternal life possible.